Obituary for Phyllis H. (Cipriano) Cornacchia | Scala and Roefaro Funeral Home, Inc.
Mrs. Phyllis H. (Cipriano) Cornacchia, age 91, of Utica, passed away on Friday March 15, 2019 at the Masonic Care Community. She was born in Utica on June 27, 1927 a daughter of the late Anthony and Rachel Payne Cipriano and was educated in local schools. On May 6, 1950 she was married to Ernest Cornacchia in Blessed Sacrament Church a blessed union of 65 years until his passing on December 22, 2015. 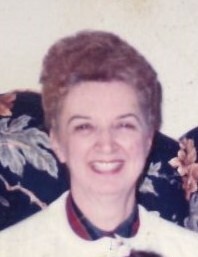 Phyllis was employed with the Utica City School District at UFA for several years until her retirement in 1989. Private funeral services with interment in Calvary Cemetery will be held at the convenience of the family.